We continually work on innovation in our product range, in order to offer regular novelties to our customers, and to enhance the orchid. Whether in the staging, the creation of varieties or the development of the collection of containers, we ensure that we are the forerunners in the latest innovations in the sector, in order to offer a competitive advantage to our customers. In order to offer you unique varieties on the market, we go every year to South America and Asia to select the new varieties of phalaenopsis created. After the selection, we put them in our laboratory to test them and put them into production. It takes three years of cultivation to create each new variety, so anticipation of the evolution of the market is essential to launch varieties corresponding to the trends of tomorrow ! Today, in France as in Europe, phalaenopsis occupies 98% of the global orchid market. European consumers are gradually becoming weary of this orchid, which is being completely industrialized and completely unmarked, and are looking for novelty in the world of orchids. Among the 30,000 existing orchid species, the R & D team of Orchids of Prestige is looking for tomorrow's species that will have the same success as phalaenopsis, in order to bring to its customers, the orchid of tomorrow, which will allow them to own a new exclusive and innovative product ! Our designers are inspired by latest trends to give you innovative ways to present your orchid. 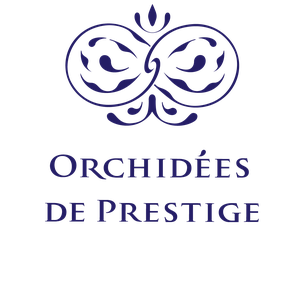 From staging to creating containers, Orchidées de Prestige regularly brings you new ideas to bring your orchids into value, and to amaze your consumers.